High levels of traffic and tourism in the Daytona Beach area affect many nearby communities, including DeLand, FL. If you are involved in a serious traffic collision, Joe Horrox is the car accident lawyer to call. Joe Horrox Law offers comprehensive legal services to help you obtain maximum compensation for injuries and losses caused by a negligent driver. Our firm offers a free consultation for personal injury and wrongful death victims. Please call (386) 258-2121 or contact us online to schedule your free consultation. Joe Horrox can meet you at his office, or, when appropriate, at your home or in the hospital. DeLand's proximity to popular tourist destinations has contributed to heavy local traffic and frequent auto accidents. DeLand is a small community located just a half hour inland from Daytona Beach. There is much to enjoy about this location, but proximity to Daytona Beach tourism and Interstate 4 means that auto accidents frequently occur in and around DeLand. If you have suffered a severe or catastrophic injury, or have lost a loved one due to another's negligence, we believe you deserve ample restitution, and when appropriate, punitive damages. Every day, thousands of commuters and travelers use westbound I-4 to travel between the coast and Orlando, where they work or enjoy the area's attractions, including Disney World. Meanwhile, eastbound drivers make their way from inland areas to Daytona Beach. This particular section of I-4 has an unfortunate reputation for its unusually high number of fatal crashes. Officials sometimes refer to this stretch of highway as a “dead zone.” A recent example was a tragic incident involving a family of four traveling on I-4 from Disney World to the beach. In the crash in DeLand, the parents were killed and both children were seriously injured. Route 92 and State Road 11 are routes tourists often use to visit the area. During Bike Week and Biketoberfest, thousands of motorcycle riders are looking for excursions from Daytona Beach, and DeLand is often on the list. In addition, DeLand hosts an annual two-day Festival of the Arts, which attracts tens of thousands of visitors. All of this activity brings increased traffic -- and traffic accidents. Joe Horrox has been a personal injury attorney for more than 30 years, and has assisted many DeLand area clients. Our firm is known for helping injured accident victims collect maximum compensation for losses. 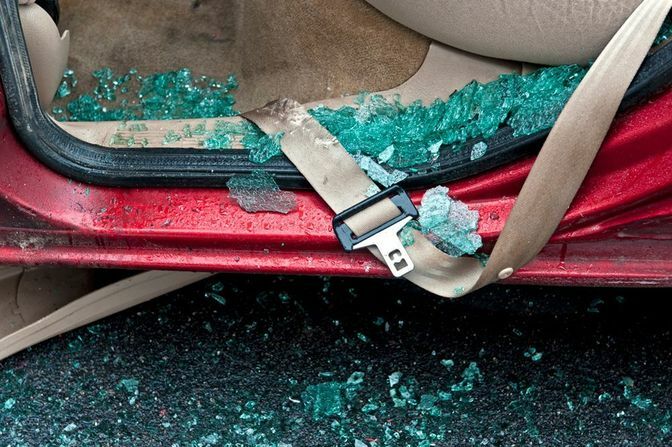 If you were injured because someone else was negligent or careless, we believe you deserve full and fair restitution. Joe Horrox Law handles auto accidents, motorcycle accidents, and commercial truck accidents. We also assist with bicycle and pedestrian accident cases. As our testimonials attest, we have been instrumental in many favorable outcomes for our past clients. If you have suffered a severe or catastrophic injury, or have lost a loved one due to another's negligence, we believe you deserve ample restitution, and when appropriate, punitive damages. With Joe Horrox on your side, you can focus on healing, and leave insurance and legal details to us. The Joe Horrox Law firm works on a contingency basis, so clients pay no up-front retainer fees. We receive our compensation when you receive yours. Please call (386) 258-2121 today to schedule a consultation.